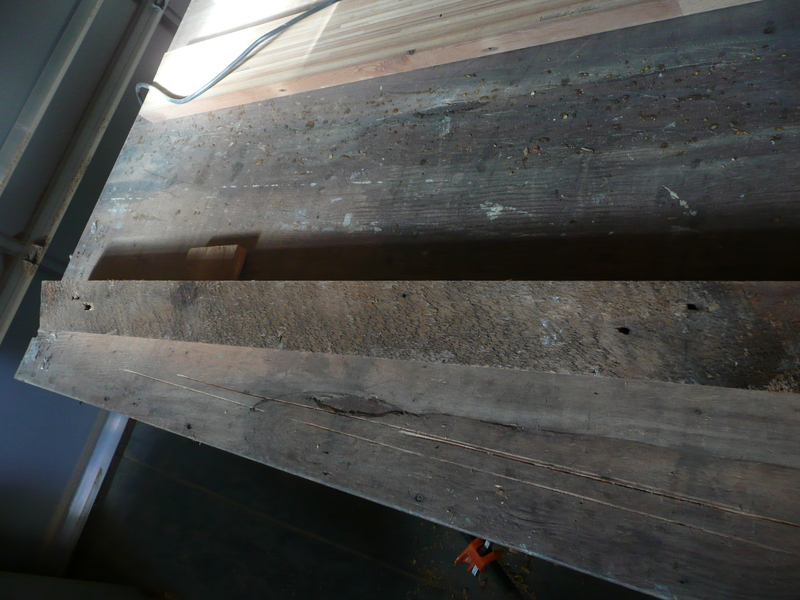 Playing with the 120 year old wood from the original structure has been one of the more rewarding parts of the project. Oxidized and dark brown today, once the rough cut wood is run through the planer the golden hues of the underlying material are released to be seen again. 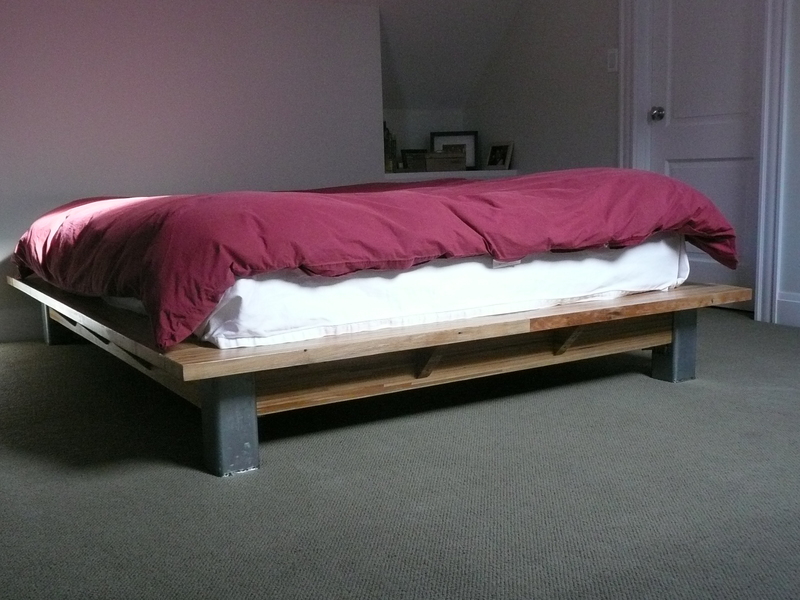 The following few pictures show a nearly 100% recycled bed made from material on the site. 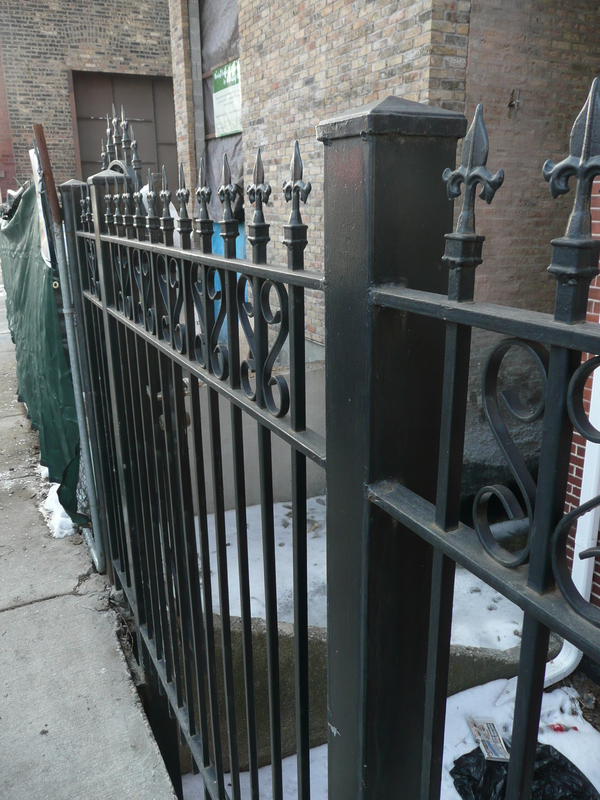 The old fence posts were cut down to 10″ and the paint was ground off and used to serve as the legs of the bed. 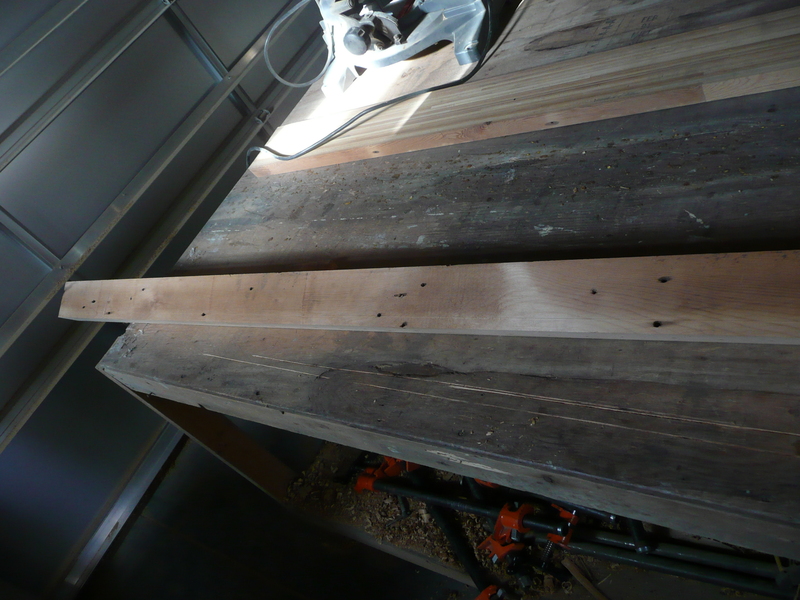 The lath board planks that have been made (see the earlier Dust to Diamonds post on this blog) became the decorative sides and shelves of the bed. 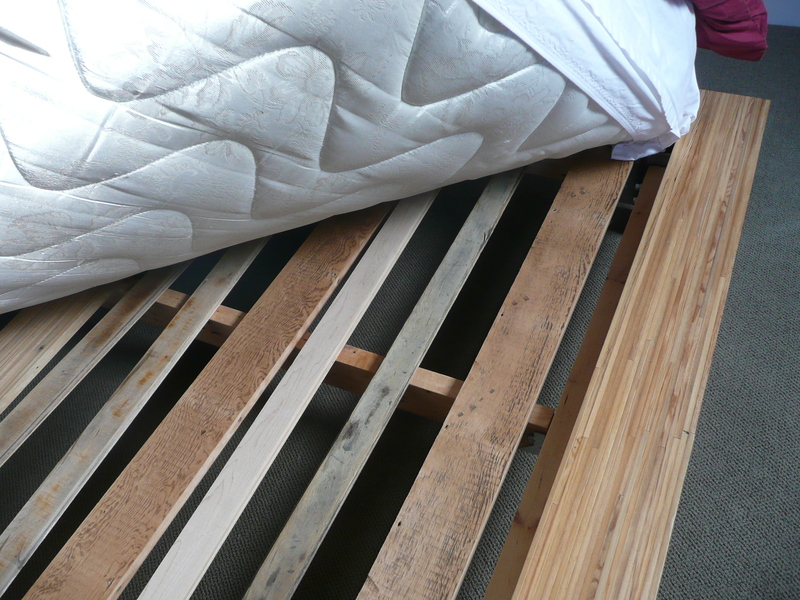 Even the mattress supports came from old maple hard wood floors that were salvaged from the house. Some nuts, bolts and washers were purchased to hold the thing together but that is about all that was new. To see more pieces fabricated from the old material at 1610, see the Furniture page on this web site. This entry was posted on Wednesday, February 3rd, 2010 at 7:24 pm and is filed under 1. You can follow any responses to this entry through the RSS 2.0 feed. You can leave a response, or trackback from your own site.